Baking from scratch and making homemade desserts has always been a love of mine. When I started this blog I hoped that I could share that love with you and show you how easy and economical it is. Homemade chocolate pudding is one of the best examples of that. It’s better for you in that you’ll know what’s in it. There won’t be any ingredients that you can’t pronounce in this homemade chocolate pudding recipe. Baking or making homemade desserts from scratch isn’t hard, it’s just a matter of taking things one step at a time. Always read through the recipe at least once all the way through before you start and mentally imagine the steps in your head. This will save you a lot of time, effort, and frustration in the long run. Let’s get started with the first tutorial recipe of the year. All you have to do is make homemade chocolate pudding once to get the feel of it. After that, chocolate pudding is a breeze! 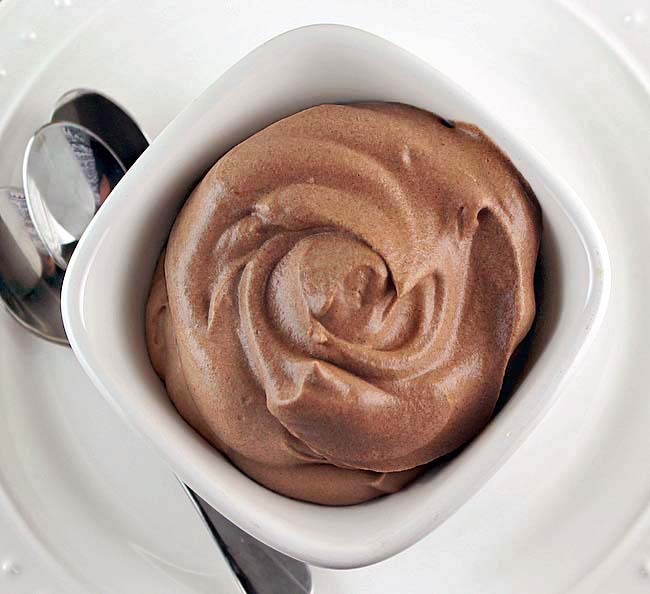 First, read the ingredients and instructions and get acquainted with the chocolate pudding recipe. Measure out all your ingredients. Place the sugar, cornstarch, cocoa powder, and salt in a heavy-duty saucepan. Place the pan on a burner turned to low to medium heat and whisk the mixture slowly. Why low to medium heat ? Your chocolate pudding has to thicken SLOWLY. This is where you need a little patience. I have a gas stove that doesn’t have markings on the knobs for low, medium or high heat like an electric stove would. I start the chocolate pudding out on low heat and if need be turn the flame up a little more to medium when I make this. It’s going to take about 10 minutes for the chocolate pudding to start to thicken and come up to a boil while you whisk. Turning the heat up to speed the process won’t help. Your chocolate pudding should be thick enough to coat the back of a spoon without seeing the metal on the spoon through the pudding. Learn to make Homemade Chocolate Pudding from scratch with this delicious Chocolate Pudding recipe. The post includes a picture tutorial plus video. 1. First, read the ingredients and instructions and get acquainted with the recipe. Measure out all your ingredients. Place the sugar, cornstarch,cocoa powder and salt in a heavy duty saucepan . Whisk the ingredients together. Take the butter and vanilla and place it near the stove so it's measured out and ready when you need it. 2. After whisking the ingredients together you may see clumps in the mixture, they are cocoa clumps. Take the back of a kitchen tablespoon and press the large clumps out. 3. With a whisk in one had, slowly pour the milk into the pan while whisking. 4. Place the pan on a burner turned to low heat and whisk the mixture slowly. Why low heat? Your pudding has to thicken SLOWLY. This is where you need a little patience. It's going to take about 10 minutes on low heat for the pudding to start to thicken and come up to a boil while you whisk. Turning the heat up to speed the process won't help. You may run the risk of burning it or it may boil quickly but the pudding will not have thickened. What you'll be left with is hot chocolate soup. If the pudding hasn't thickened and come up to a boil in the saucepan, it won't set up in the refrigerator either. I can't tell you how many times I've read comments on recipes where someone said..."It came to a boil but never set up in the refrigerator". Why would that happen? The heat was up to high, the mixture boiled , before it thickened. It will always thicken first, then boil. Patience Grasshopper, it's a virtue. 5. When the pudding does thicken, it will happen fast and all at once. With in seconds it will start to boil. Large bubbles will come to the surface and erupt like little volcanoes. Whisk for one more minute. 6. Your pudding should be thick enough to coat the back of a spoon without seeing the metal on the spoon through the pudding. Take the pudding off the burner and add the butter and vanilla , whisk to incorporated it into the pudding. Pour the pudding into 4 dessert cups, a graham cracker crust or a pie crust depending on how you want to serve it. 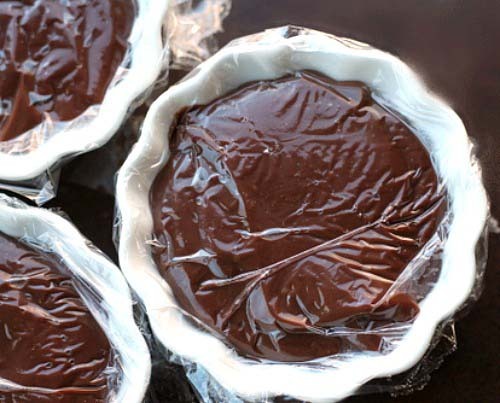 Press plastic wrap onto the pudding surface so it actually touches the surface of the pudding. This prevents a "skin" from forming on the top of the pudding when it cools. Refrigerate for about 2 hours until cooled. Top with whipping cream if desired and serve. Thank you Lily, it is easy and I hope you give it a try. Thanks for stopping by! You are never too old for putting. I will take 2 please. Thanks for this fun and always delicious treat; I love the great memories of my childhood that this one evokes! I love your childhood memories Dan and your recipes! Oh man these look good! I used to make chocolate pudding in the microwave, but I think I need to try your recipe! Looks great. You go girl!!! Thank you Eleta! I’m dancing over here! So happy you made it and loved it!!! Bunny, it was phenomenal!! No joke. I have been cooking for 45+ years. Chocolate Pie is and always has been the “go to” pie seen at every Sunday Dinner, church potluck or holiday dessert table. It is also made from scratch. Your pudding has the same kind of texture and flavor as the pudding. It also brings some very fond childhood memories of my Grandma. I am putting a recipe book together for my daughter (filled with recipes from my childhood as well as hers) and this is definitely a recipe that will be going into it, with your permission and credit of course. Thank you for sharing it so I can do this. Awe Eleta, it’s comments like yours that makes me keep doing what I do. Thank you so much. Yes you have my permission! WOW!! Thank you so much Swati!! I love doing what I do, and comments like yours makes me love it even more! 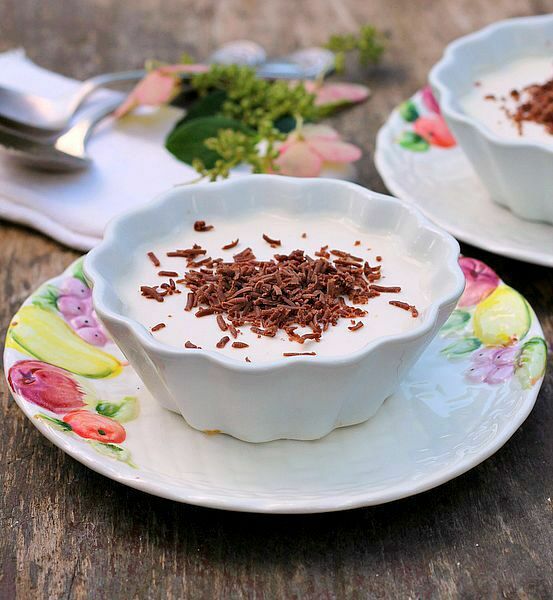 Lovely recipe that takes me right back to being young, my Scottish mother and grandmother would make this for me and it was called chocolate blancmange, thank you for reminding me, I will make your version as it looks so tasty and richer than the one of my childhood! Always wanted a good chocolate pudding recipe to make chocolate pudding pie. This looks like it would work! It looks fantastic!! YUM YUM! This looks AMAZING! My hubby loves chocolate pudding, and after 20 years of marriage, I think it is time for me to make him some. We would love for you to share with us at Party in Your Pjs, our weekly link party. I love chocolate pudding. Your instructions are so clear too. Pinned. Stopping by from Showcase Your Talent. I hope you do Beth, you’ll love it! I love your recipe for homemade chocolate pudding, it’s so easy and it’s always a crowd pleaser. Thanks for sharing with Foodie Friends Friday party this weekend. Pinned and sharing. This looks great, and the best part is I have all the ingredients on hand… One question, I have an old gas stove that tends to operate on 2 settings, on and off. Would a double boiler work? Ricki, sorry I’m late getting to your question, a double boiler would take forever to cook the filling. I’d go with a low heat. Hey, I just finished making the pudding in a double boiler, it came together in 10 minutes or less. 5 minutes I just walked away and 2 minutes of whisking it has thickened and 3 minutes of extra cooking just incase. I chose this way because it’s how I make cream pie fillings. I find it fast and easy, because you don’t have to worry about burning. NICE Jenny!! I don’t have a double boiler but I’m going to get one. Thank you for commenting Jenny and sharing your double boiler tip! Lydia, I hope you love it as much as we did! 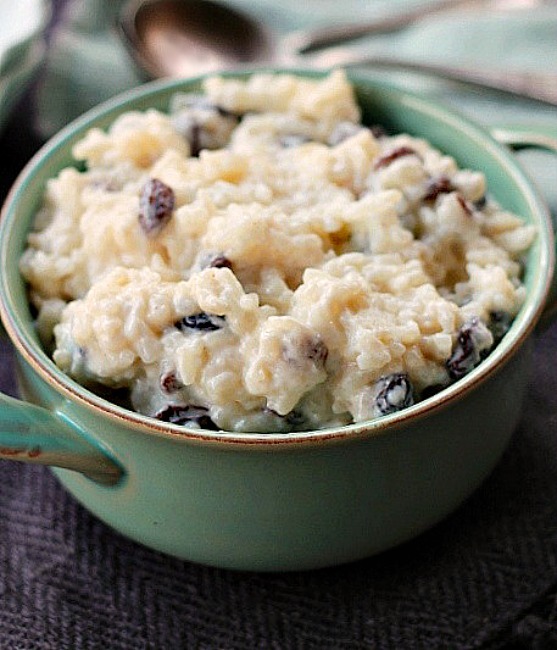 I’ve never tried making my own pudding, but this looks pretty straightforward…and so good! Thanks for the recipe! Bunny, Thank you so much for this excellent tutorial and recipe! Your idea for making more tutorials is heaven sent. Your explanations are clear and helpful. I’m making this for a chocolate pudding pie filling today. This will be my first ever attempt at making homemade pudding. I want to learn this to share it on my blog. I would like to use your recipe with a link back, if you give me permission. It looks perfect for a pie filling! Thank you Diane, I love doing them!! I was wondering if there is a lactose free option for this recipe? I typically use Kefir in the place of buttermilk, would that work? Looks delicious. I wish you would put the nutritional information. Like the calories and sugar in grams and sat. fat in grams and Protein. I have started Weight Watches and I can eat different things but should know what the calories, sat. fat, sugar and protein are. Then I can figure out the points for it and what to allow. Even the calories would help. I use to have a program that did that Betty but found out it wasn’t allowing people to print the recipe. I had to get rid of it. If you are using a program like Fitness Pal or some other equivalent, if you type the recipe in, it will figure it for you. Oh nice Cathi, thanks for sharing that. Struggled so hard with this. Set my burner on a lower setting and sat there stirring for almost 25 mins before it would boil and it never thickened. By the time I gave up my baby was up and me time was over. Ashley I’m so sorry it didn’t work for you. Did it thicken at all during the cooking process? I’m having a hard time with this. The heat is set to low, i’ve been whisking for almost 30 minutes and it still hasn’t thickened. What should I do? Raelyn turn the heat up to medium and whisk till it thickens. Do you have a guess as to how many ounces this recipe makes? It will fill one pie or make four pudding dishes. It makes 2 1/4 cups of filling, same amount as the milk you use. Thank you Robert for coming back to tell me you made it. How wonderful you were able to adjust it to your son’s needs! I love comments like this because it will help other people who may have the same dietary needs to know you did it and it works! Thank you Robert! I made this a few hours ago and let it setup and chill in the frig. Wow! Is this ever good! I followed your directions exactly. I had it over low heat and it did take a while to come together and thicken. Your description of how it starts to thicken – “When the pudding does thicken, it will happen fast and all at once. With in seconds it will start to boil. Large bubbles will come to the surface and erupt like little volcanoes.” was exactly how it came together. I tasted it while it was still warm and I thought it needed more sweetness but I was wrong. Once it chilled in the frig, it was perfect! Fantastic Bobi!! You have no idea how happy it makes me you made home made pudding and loved it! There’s a lot of satisfaction in knowing you can make something from scratch. Thank you for coming back to tell me!! Do you think I could double the recipe? You could double it bobi, it’s gonna take double the time to slowly bring it to boil. You’ll have to be very patient so as not to waste all those ingredients though. Maybe just make two separate batches? Thank you bunny! I think two batches would be better. I think so sweetie, I would feel terrible if you wasted ingredients. Let me know how it goes for you. Its been 20 minutes and still no boil. Just seeing this Kathy, let me know how it goes. Looks great! So excited to try this, thank you!! Am I the only one hysterical from the “patience grasshopper” quote? LOL!! You got it, I’m so happy!!! You’re the first one to notice and comment about it!!! Found this recipe on Pinterest, I had extra milk to use up and was finding something to use it up. It took me a while to get it to boil, I was cautious about upping the heat but eventually got there. And I’m happy I didn’t give up, this was amazing!! We didn’t even let it cool all the way before we dove in. Thank you for a great recipe and excellent detail! I’m so happy you tried it and loved it Kristina, thank you so much for coming back to tell me, it always makes my day! I left it on low the entire time, 25 minutes, and it still hasn’t thickened. I don’t know what to do. I followed your instructions to the T.
Melissa did it boil at all? No, it never did boil. I did finally turn it just a bit up after 25 minutes, but it still never boiled even after another 10 minutes. This is so good! Instead of butter I like to add peanut butter and eat hot! Wow Ashlee fantastic adaption I love it! Thanks for coming back to tell me! Emily, I’ve got a whole lot of hand written recipes from 30 plus years of cooking and baking. It doesn’t come as a surprise to me that it would be a Hershey’s recipe, I love their cocoa and use it all the time. Thanks for pointing it out. Terri I think you could and it wouldn’t hurt. Let me know if you do it, t’ll be helpful to other people who might want to do the same thing. Thanks for coming back to comment! My daughter and I made this. It is fabulous! Thank you for a wonderful recipe. Your welcome Amber!! Thank you for coming back to tell me, made my day! I never do this but these instructions need to be amended. Low on your stove may work and work for others but doesn’t for everyone – there should be some sort of note about that. Patience… honey I have been trying to make this recipe for an hour. I had to slowly up the heat to MED because I was stirring hot chocolate soup for 30+ minutes, only then did it thicken. I had to wait some more for it to boil. Now I have to wait 2hrs to eat it… not impressed. Should have bought pudding in a box. Also instead of saying “set aside butter and vanilla until you need it” .. “butter and vanilla are added at this step”. Anonymous, my stove is a gas stove. Low heat works for me. I wrote cook under low heat because, yes every stove is different. I would rather you make it the first time under low heat, figure out what works best for your stove and adjust it the next time you make it. It’s that simple. I’m not into having people waste ingredients by having the heat turned up and risking burning the pudding. It’s a homemade recipe for pudding, it really does sound like the next time you want chocolate pudding, just stop at the store and buy it. Hi Bunny! Thank you for this recipe, I just made it for my family tonight, I tried it while still hot and so good and comforting. I will say that I was standing at the stove for an hour thinking when was it going to thicken so I turned it up to medium and that did the trick! I have an electric/coil top stove so medium worked for me. All in all a really good recipe! I’m sure my family will be so happy! Thank you! Thank you Nicolette. My stove is gas and there’s no markings on the dial to say whether it’s at low, medium or high heat. I’m happy medium heat worked for you! I made this with a high quality chocolate milk and special dark cocoa powder. Just oh my goodness!!! Wow Cathy! What a way to kick it up! Fantastic! I used the Hersey Cocoa Natural Unsweetened and cold milk to start out with. First, did I used the wrong cocoa, if so what kind should I buy? Secondly, should the milk be room temperature before you start making the pudding. Finally is there such a thing as to low for heat setting. My pudding did not thicken up in 10 minutes nor 20 minutes and I whisk the entire time. Please help. Kimberly you used the right cocoa. Yes you used the right milk and no it doesn’t have to be room temperature. I have a gas stove, there aren’t any low, medium or high settings on the knobs like an electric stove would have. Medium to low is a good starting point for the pudding on my stove You might want to try that for yours. The important thing about the cooking of the pudding is to make sure that it thickens first then comes to a boil. If that takes upping the temperature to medium then do it. I made this recipe as part of a layered dessert (chocolate cake, graham cracker crumble, chocolate, this pudding recipe & marshmellows – each component made from scratch – & healthy) for a dear friend’s 75th birthday lunch date. While each part was delicious & could basically stand alone as a very fulfilling treat, together they were magical. I love step 1 instructions. So true for any recipe. Understand your recipe, prepare ingredients ahead, totally stress free event. I had a bit of a long stir as well, but I didn’t mind. I stirred with love, trusting Bunny’s suggestion to “have patience” in step 4. She gives ample explanation as to why so we know that going in & boy is it worth it! Homemade pudding is the best. I did omit the butter – dietary issue – & it was still rediculously creamy & delicious. Otherwise I followed directions to the letter and everything turned out just as Bunny says. Definitely, make this. Judy I love this so much, thank you. I absolutely love what I do and people like you make it so worthwhile to me. Thank you so much. So sorry, forgot to say…Bunny, Thank You! Your time & care in posting this shows your love for food & friends both. Thank you for sharing. I can’t wait to explore your other recipes. When I was a kid I lived on a small farm in eastern Ky, Im talking the 60s,, and 70,s. We raised tobacco to pay for groceries. My mom would run a credit account at the local country grocery, hardware, feed store, you name it he supplied it. but anyway we would raise our crop of tobacco and when it sold she would hand over the tobacco check to pay our yearly grocery- hardware bill and she would do that every year to feed her family. she would buy her staples like flour sugar corn meal and etc. in bulk and at Thanksgiving and Christmas I remember one of the things she did every year was make each child, there was four of us by the way, there favorite cream pie. Mine was butterscotch, one brother liked chocolate and the other liked coconut cream. the only sister and the oldest of us kids liked lemon meringue. I would love to see a recipe for home made butterscotch pudding. those pies were delicious, and those memories of watching all day in anticipation of biting into my own personal pie is something Ill never forget. 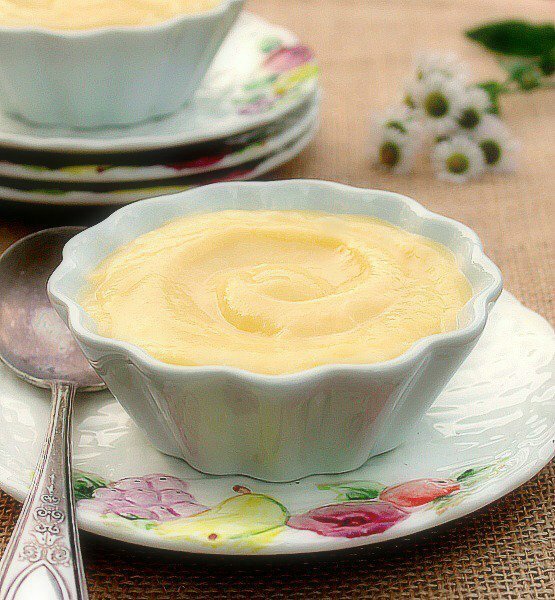 can you post if you have it, a recipe for butterscotch and lemon pudding. also is there a set amount of liquid to add for when you want to just eat your pudding out of a bowl as a desert? I myself if Im gonna eat a cream pudding out of a bowl as a desert by itself, I like it a little thinner than when I am putting it into a shell for a pie, is it best to just finish the pudding and add a small amount of liquid, such as milk in chocolate and butterscotch and lemon you would probably add water, but add the liquid after the pudding to a thinner consistency , or add a lttle more liquid at the beginning cooking stage? Lawrence a lot of people here where I live in Ky still raise tobacco. When I first came to Ky I met one of our neighbors and her husband that were in there 70’s back then. She worked along side her husband hanging tobacco in the barn with 2 little ones behind her. She would make a meal everyday for the farm hands, work the vegetable garden, clean the house and everything else she had to do for her family. Wonderful woman, seriously the sweetest soul you’d ever meet. I’m going to look up a butterscotch pudding recipe Lawrence and make it. Can’t tell you when I’ll get it up but I’m going to do that. I have a homemade chocolate pudding recipe you can see here…https://bunnyswarmoven.net/homemade-chocolate-pudding/. Let me know what you think Lawrence. Thank you for posting this recipe! The only thing I did a little different was to temper in 3 egg yolks (I’m sorry, but it’s what my grandma used to do) and I was back in her kitchen as a little girl again. Thank you again! Oh now see you just peeked my curiosity with the egg yolks Dawn!! I’ve never done that before! You have to tell me more sweetie!! If you sift the cocoa through a strainer first there will not be any lumps. Thank you for posting this recipe. I’ve been making it since my late teens and I’m now 63. My Mum got this from my best friend’s Mum and it’s been a keeper all these years. I do have to tell you, though, that I make it on medium or just barely above in a good heavy saucepan. But I do stir it almost constantly once it gets warm. I can also tell you that I have made it with whole milk, 2% milk (my regular) and I’ve also made it with 1 cup milk and 1 cup of water and it still works but is a little chocolatey-er. I’ve even made it out of instant powdered milk in tough times. It still works. Csthi tomorrow I turn 64!! But you have me beat, I haven’t been making it as long as you have. Wow! It even works using powdered milk! I never would have thought to do that Csthi! Thank you so much for taking the time to come back and comment, I appreciate it. Hi there! I made this recipe last year, and it took for-ev-er to thicken. I stood over my stove for over an hour, low heat, sore arm and feet (haha). But I’m far too stubborn and cheap to give up on quality ingredients, so I stuck it out… and it was literally the best homemade chocolate pudding I’ve ever made or eaten. Ever, ever, ever. Hubby and kidlets agreed, wholeheartedly. I’m back to make this again as a filling for crepes for my 14 yr old’s bday this weekend. I’m going to try to raise the temp a bit more this time (crossing fingers!) but regardless of the time spent, this is THE best recipe for chocolate pudding… whether eating warm or cold (I preferred it warm). For those who try it and it hasn’t thickened yet while in the pan- well, it will! As Dory says, just keep swimming! Probably on your stove medium would be appropriate or just under medium. On my stove, and because I’ve been making it for 43 years, I can control it at just above medium. It shouldn’t take forever. My son had separaters placed yesterday so I was looking in my pantry for jello & pudding to make for him. Alas, no pudding, so came to Pinterest for a recipe & yours popped up first. Just finished it – have an electric stove so after whisking on low for 15 minutes, turned it up to medium & that did the trick. Licked the spatula clean of the little that was left in the bowl, OMG! It is divine. No more boxed pudding for this family! Great pudding. I sifted the dry ingredients first and did not get any lumps. Wonderful Jen, thank you for taking the time to comment and share your sifting tip. It’s so helpful for others who would like to make the pudding. Oh my goodness! I just made this in the microwave; two minutes and stir , times four, and perfect pudding, plus I added some dark chocolate chips! It doesn’t get any creamier, chocolaty or yummy than this, thank you! Wow Debra, never made it in the microwave, fantastic tip! Thank you for sharing! I love making desserts but never made home made chocolate pudding until yesterday. Was going to double recipe because I had a lot of milk close to expiry but decided it may not turn out well? Oh my it did take a while to cook on my stove (will adjust setting wee bit) but was it worth it in the end! My husband and I enjoyed it with whip cream and graham crumb topping He said” it was the best chocolate pudding he has ever eaten” and I agree! I will be trying more of your recipes in coming days…..great instructions, thank you for sharing!